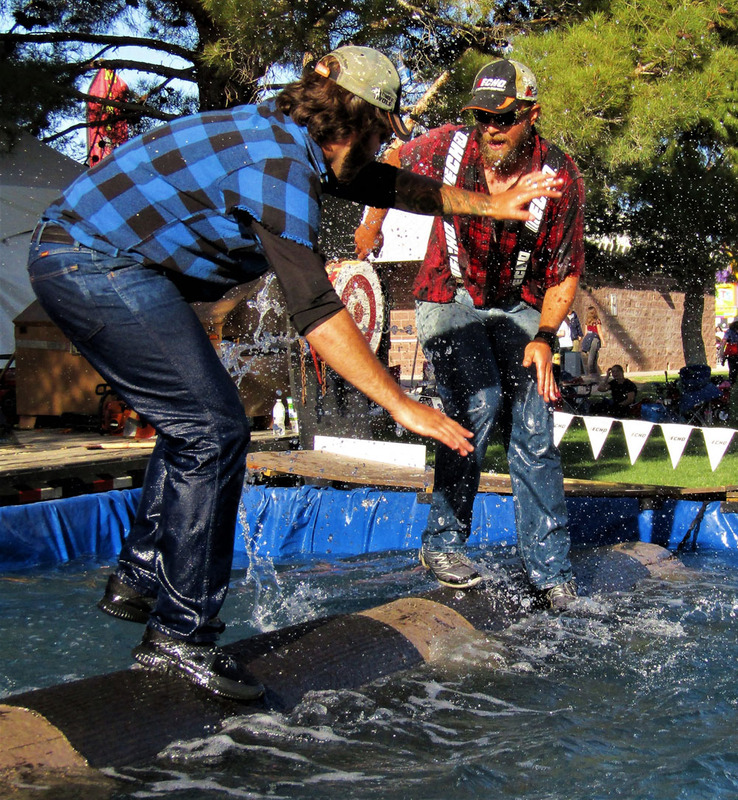 Our least inexpensive Show, and most purchased show that gives the audience a sample of many Lumberjack Skills, old and new. This show runs approximately 25 minutes and has Competition and Demonstration throughout the Show, combined with History. 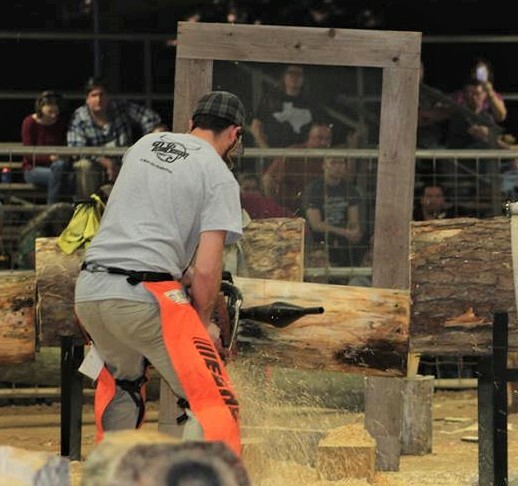 Some events that will be included are Axe Throwing, Chopping, Log Rolling, Cross-cutting, Chainsaw Racing. 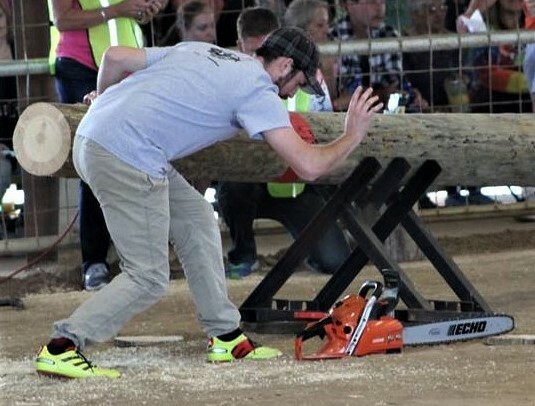 Hot Saw Racing, and Quick Chainsaw Carve. Preferred Show Site size 40 X 50 feet but can also go as small as 35 X 35 feet. 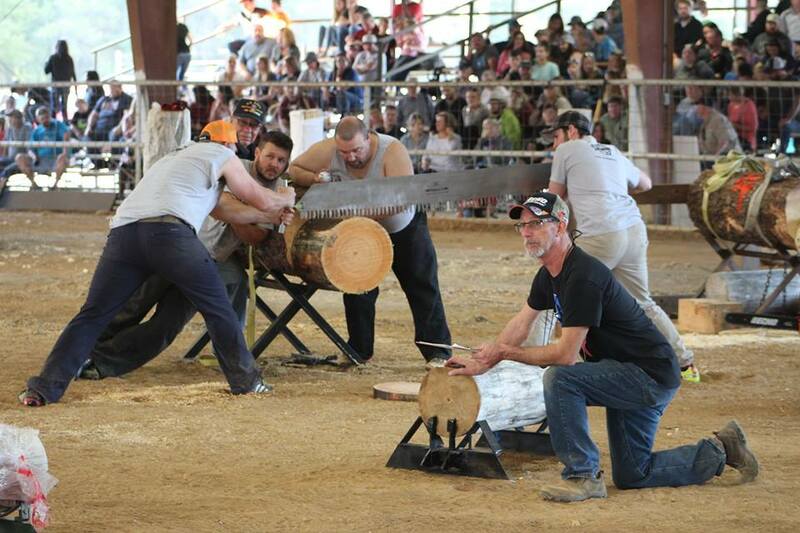 An extra Lumberjack is added to this show to make it a more of a competitive Show. Same events as the 3- man Show with a few added extra events. This Show will run approximately 30 minutes with a larger display. Preferred Show site size 50 X 50 feet, but can go as small as 40 X 40 feet. This Show offers a permanent emcee, with lots of more Competition. The Show runs approximately 40 minutes. Preferred Show site size 50 X 60 feet, but can go as small as 40 X 40 feet. This Show runs approximately 50 minutes. A permanent emcee announces this highly Competitive Show. 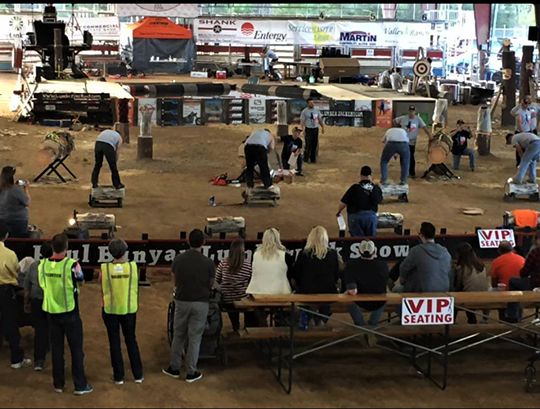 This Show offers 3 Chopping events, Obstacle Run, Cross-cut Sawing, Stock Saw and Hot Saw Racing, Axe Throwing and Log Rolling. Preferred Show Site 50 X 60 feet, but can go as small as 45 X 45 feet. The Show is Competitive and thrilling for all ages. Blue Ox Productions was also created to assist in Film, Video, Social Media and Commercials. 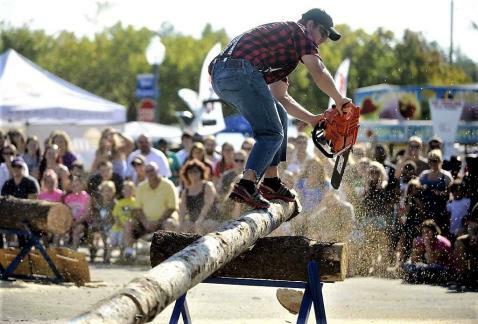 Our Company has the highest quality of authentic Lumberjacks and Lumberjills that are professionally trained performers. 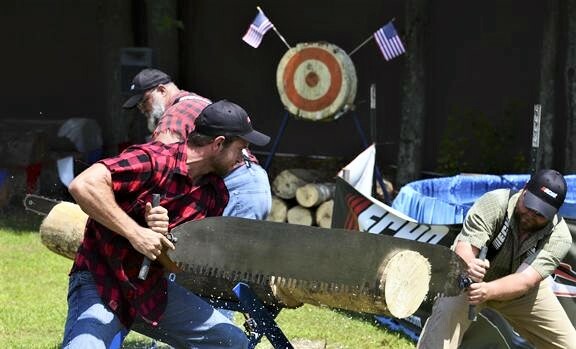 In addition, we have the knowledge and skills to assist you with an authentic theme if needed and can assist your production in a turn key operation, relating to modern and old time Lumberjack and Lumberjill skills. 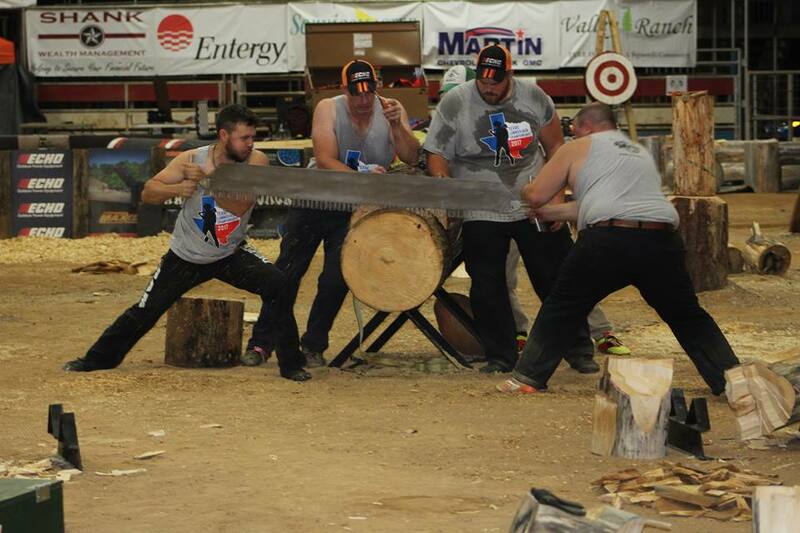 We bring you the Professional Lumberjacks to compete against each other in various Lumberjack events. 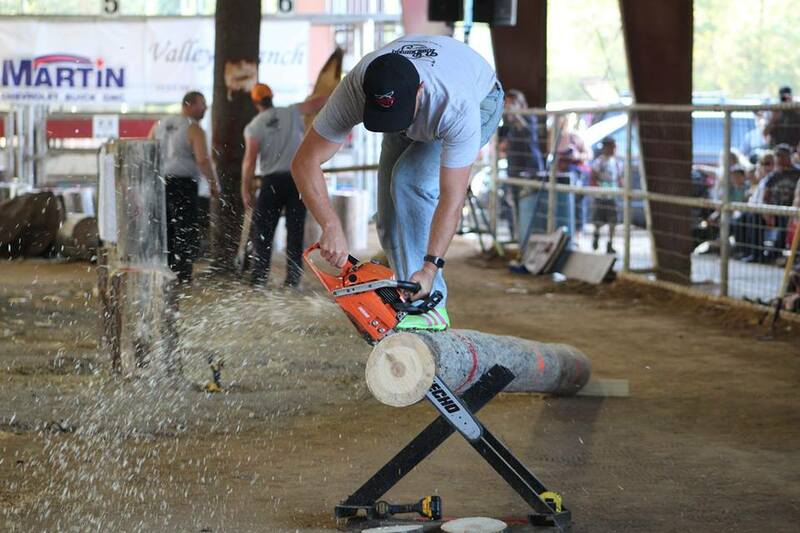 You will see a lineup of skilled professionals battle each other in underhand chopping, stock sawing, modified sawing, springboard chopping, standing block chop, log rolling and many other events. 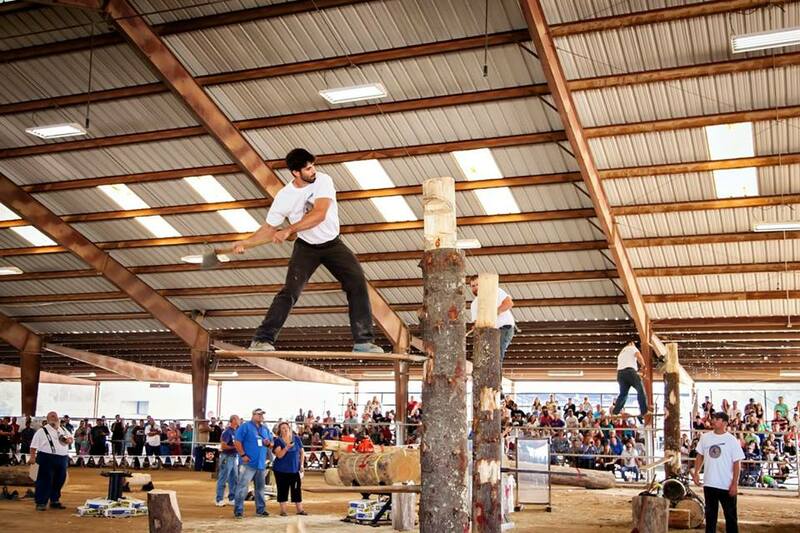 Each Lumberjack competing to take first place. An emcee will announce each event and start each event. The Competition is set up as a point that each competitor will gain after each heat. The Lumberjack with the most points wins the overall. We bring all equipment, stand and everything we need to Produce the Competition. 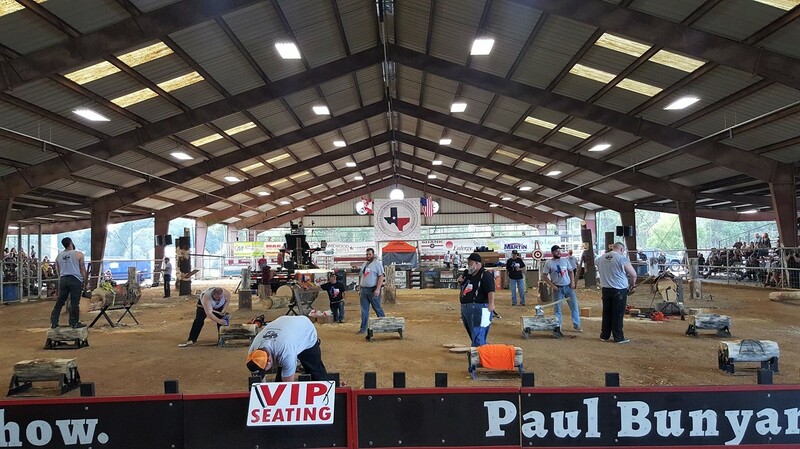 The space that we are needing is 60’ X 100” with the total amount of time from start to finish is 2-4 hours, depending on how many events and competitors. Our Grand Stand Show has a running time of 60 to 70 minutes. The space that we would require is 50” X 80’, however this space vary if needed. 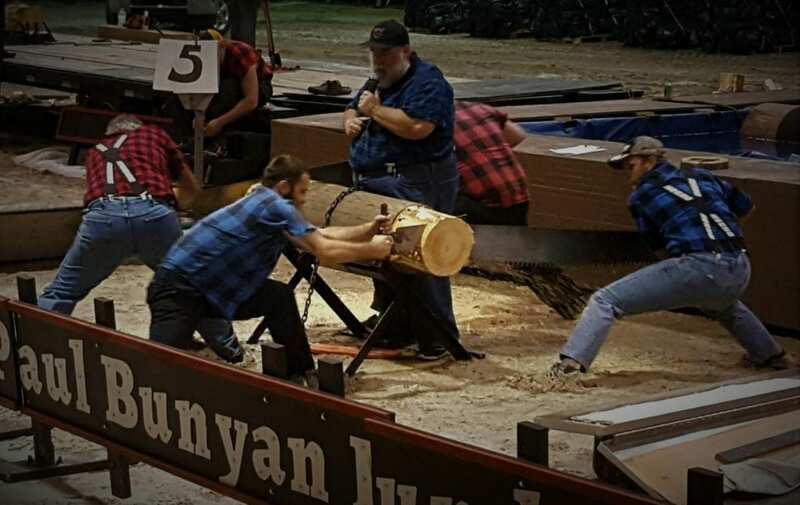 The Grandstand Show has your choice of 6 plus Lumberjacks along with an emcee to add humor throughout the Show, to entertain and guilds you through each event The Lumberjacks are divided into 2 teams that compete against each other for first place. Event supplies 6, 8, 10 or 12 amateur competitors. 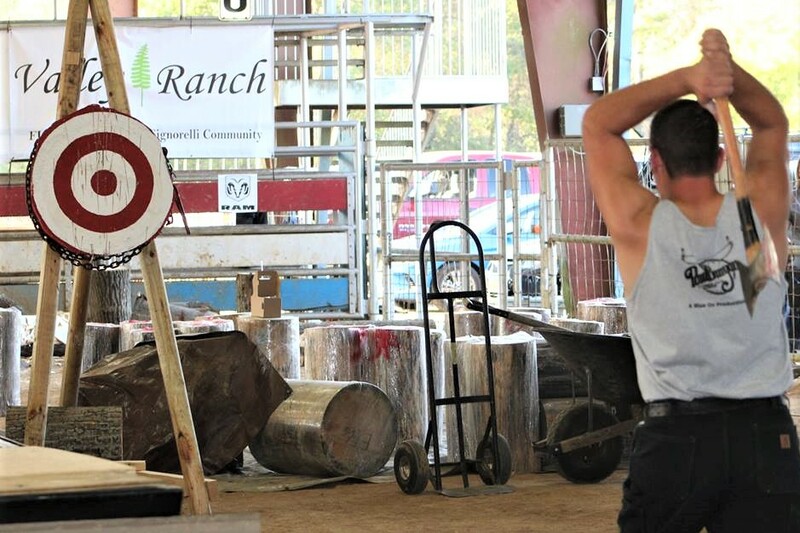 They will compete in Axe Throwing, Cross-cut sawing, and Stock sawing. We provide all safety gear and take all precautionary measures to make this a fun event for all. 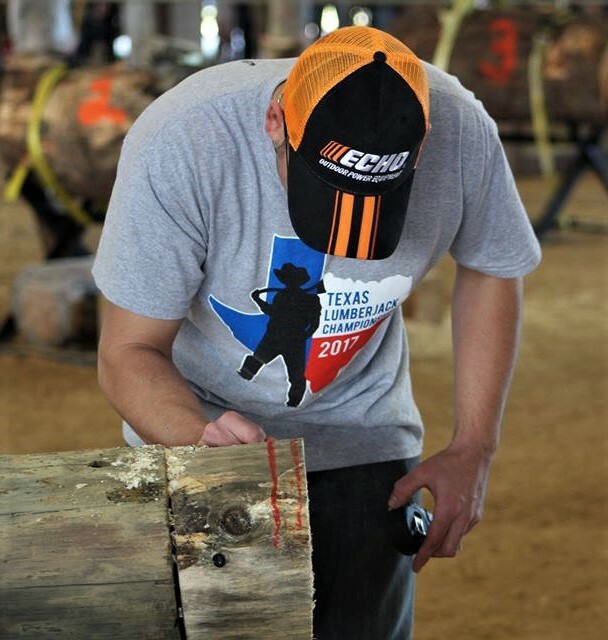 We teach the history of the north American Lumberjack, how they use the tools in the past to the ones used today. We talk about how our country was created by the Lumberjacks, and the goods from the woods in product that we use in everyday life. We show the importance of the woods and our semiotic relationship between humans and the forest conservation, and how we promote healthy vibrant forests as well as proper forestry management.